You’re a “dog person”? Prove it. How much is the doggie in the window? It’ll cost you a pretty penny. And it costs that doggie their good health, happiness, and rights as a living, breathing creature. I attend college in a pretty small town which I love and adore. Activities include studying, “porching”, mastering pong, hiking, and drinking copious amounts of Donkey Coffee. I’ve come to realize that around campus, there’s one animal that will make students stop any one of those activities. Dogs. We’re canine crazy- it’s a fact. You know what’s also a fact? During a survey of 213 students, when asked if they knew where the animals sold at Petland came from, 51% of the responders said no. I don’t know what’s more alarming. The fact that people don’t know, or the fact that people actually do and don’t care enough do anything about it. Here are some stories that happen while we sit around acting like we don’t care. I’d heard whispers and underlying rumors about the pet store in my area, but I went anyway, hoping that maybe it wasn’t so bad. Maybe rumors were just rumors. To my horror, it was exactly as I’d imagined. A colorful array of breeds were placed into clear small cages, sometimes two or three at a time. I awed and swooned at the puppies, but at the same time I was heartbroken. The fact is, pet stores do this on purpose. Everything about the place is a marketing strategy. The way these dogs are treated is not only cheap for the business; it’s a selling technique. The worst part is, living at Petland isn’t the first time they’ve experienced hell. It started when they were born into puppy mills. We picked out a small Chihuahua puppy to hold and it all hit me at once. 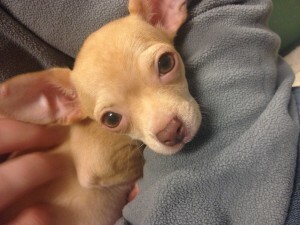 This tiny bundle of innocence had already gone through horrifying abuse and she was just barely two pounds. We were informed she had been marked down, which made my heart drop. You may think it would be the opposite. A cheap adorable puppy? Perfect! When pet stores sell puppies, they want to get their money’s worth. If that puppy isn’t selling, they’ll mark down the price. If more time passes the price goes down more. Eventually, if the puppy isn’t sold, it is sold back to the provider ( a puppy mill ), sent to a dog shelter, or euthanized. So hearing a cheerful, “Oh, she’s been marked down!” made death tolls ring in my ears. Harley was bought from a pet store in Utah. Employees of the store informed the couple who bought her that she had “a little bit of a cold”. The couple brought her home and spent a few days happily loving her. But she soon went downhill and became so violently ill that she wouldn’t move at all. Veterinarians diagnosed her with paraovirus, a fatal canine disease that forms from not being vaccinated properly at a young age. When confronted with the fact that they sold a terminally ill puppy, the pet store refused to believe nor help the couple. Within days, Harley passed away. 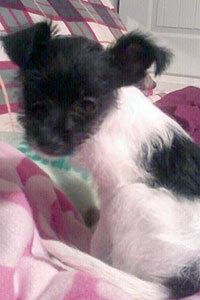 Sweet Pea was born and raised within the confines of a puppy mill in midwest Ohio. She was used solely for breeding and by the age of six was deemed “useless”. Before the puppy mill got around to terminating a product that has aged past their liking, a large scale puppy mill rescue took place and she was sent to a foster home. Sweet Pea was emotionally scarred, petrified of everything, and feared most human touch. In South Carolina, a woman and her boyfriend bought a tiny Maltese puppy after spotting her in a passing pet store. Almost immediately upon her arrival home, the couple found that Ava was terrified to move. Looking further into her background, the couple realized that Ava had been in the et store for 5 months, confined to her “required amount of space” cage.The couple brought her to the vet where Ava was diagnosed with a urinary infection. When approached about about the condition the pet store sold her in, the owner insisted the dog was fine before she was adopted. He blamed the owners, and refused to show documentation of where Ava was born. So you wanna do something now? Be an advocate. 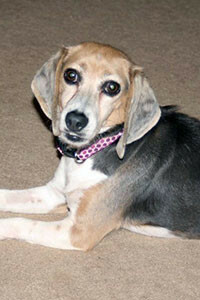 Log onto The Humane Society website to research ways you can be an advocate to ban puppy mills. Spread the word, let people know that is a real prevalent issue we can solve. Encourage dog shelter adoptions. 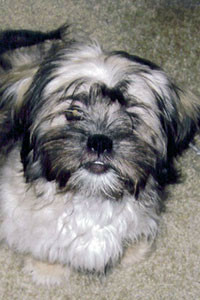 If you know someone interested in adopting a dog, express the pros of a rescue dog compared to buying from a pet store. Write your legislators. You, as a voter, have the opportunity to express your concern about puppy mills. It’s easy to look up who your legislators are with simply your zip code. Ask them to revisit the Animal Welfare Act and expand it so that puppy mills can be brought up to the concern of Congress. I know we all want to help, it’s just a matter of whether or not we actually will. It’s easy to think, “It’s not that bad” and “It’ll get better later”, but as an avid animal lover, I refuse to let dogs everywhere stand in cramped cages facing vicious conditions so that pet stores can make a profit. I was once a person who wavered and shook my head from afar in a “shame on them” manner. All it took was one tiny Chihuahua to make me realize it was time to stop shaking my head and start shaking my iron fist.